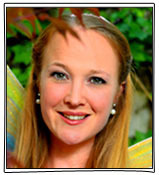 Fantastic Felicity has been entertaining for over 9 years and has oodles of energy and enthusiasm. 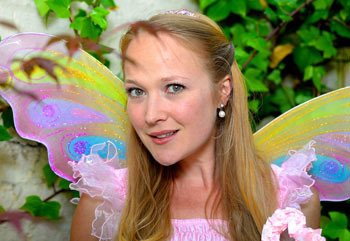 Her entrancing parties are wonderfully interactive and can include captivating storytelling and roleplay; comedy magic; face-painting; balloon modelling; traditional, imaginative and parachute games; and also singing and dancing. Felicity’s is adept at adapting to the dynamic of guests, tailoring the party to personality, whether imaginative and magical or fun and silly, and making sure everyone feels involved. 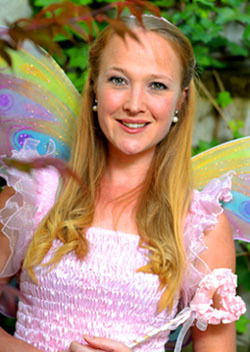 She can appear as Fairy Felicity, a Pink Princess, Pirate Felicity, or in a fun children’s entertainer outfit; whatever the theme her parties are always riveting.